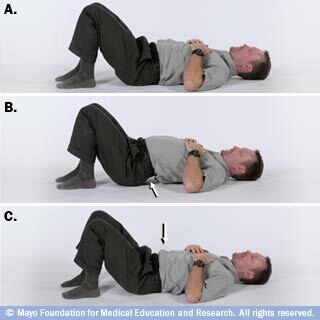 Lie on your back with your knees bent and your feet flat on the floor (A). 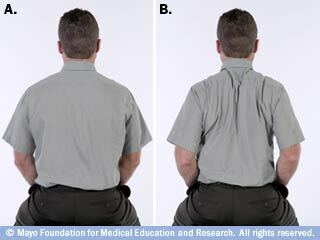 Using both hands, pull up one knee and press it to your chest (B). Hold for 15 to 30 seconds. 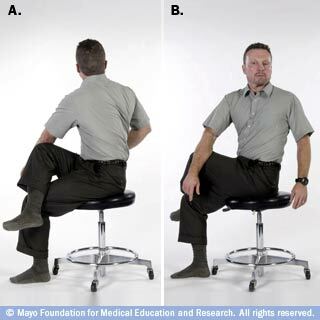 Return to the starting position (A) and repeat with the opposite leg (C). Return to the starting position and then repeat with both legs at the same time (D). Repeat each stretch two to three times — preferably once in the morning and once at night.